Regular resistance training is one of the best ways to achieve your health goals. Lifting free weights or training on resistance machines increases burns calories and increases lean muscle mass which helps your body continue to burn calories long after your workout is complete. Participating in a full body resistance training routine on three non-consecutive days a week will produce a firmer, tighter physique that you will be proud to display when the warm weather rolls around. The problem that most people face when it comes to resistance training is getting to the gym. Even people with the best of intentions can get discouraged after facing high, recurring monthly gym dues or after sitting in traffic on the way to and home from the gym on multiple days per week. Schedules are tight enough without adding 45 minutes to an hour of travel time to an hour long workout every time you go to the gym. The easiest way to combat this is by picking up a home gym in order to get a great workout out in at your home or apartment. A good quality home gym can deliver a workout every bit as complete and intense as a commercial gym workout in a much smaller time frame because you’ll be completely eliminating travel time (and time spent waiting for machines). 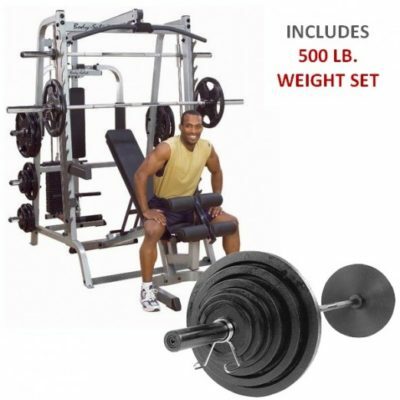 Home gyms come in a variety of shapes, sizes and price ranges and if you can grab a quality home gym on sale for a good price the equipment will pay for itself in no time with the savings on gas and gym dues. 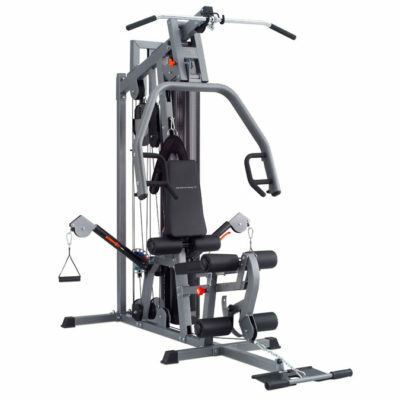 The right home gym from Bodycraft will fit in your basement, office or spare room and let you blast your back, arms, chest, legs and abs from a variety of angles with a multitude of movements and with weight to spare. 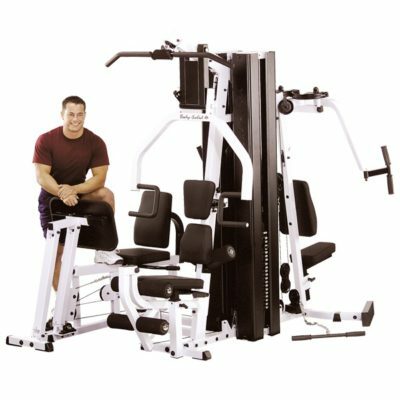 Bodycraft produces high quality home gym options that range in price from under $2,000.00 to over $6,000.00 with enough features to rival a fully stocked commercial gym. Those that are on a tighter budget can choose from the Galena Pro, the Xpress Pro or the K1 – all of which are loaded with features and all of which come in at very reasonable price tags. The Galena Pro is designed to fit neatly into a corner (and a budget) without any sacrifice when it comes to features. 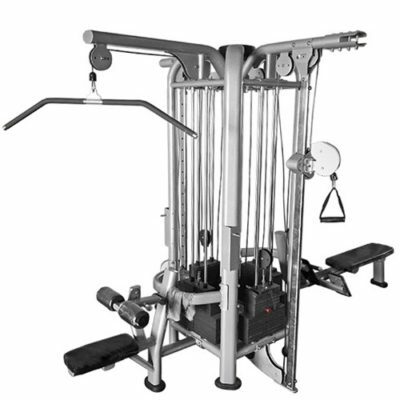 This sturdy, well built unit features a high and low pulley to help you work your legs, back and arms; a chest press and Pec Dec to work your chest and up to 200 pounds of resistance standard to give even seasoned trainees a great workout. 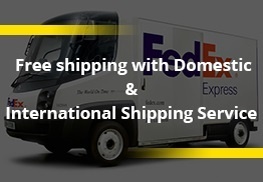 The Xpress Pro and K1 come with slightly larger prices tags but come with additional features to make them worth the investment. Both of these machines are easily adjustable for different users and highly versatile so you can change up your routine regularly to workouts fresh. 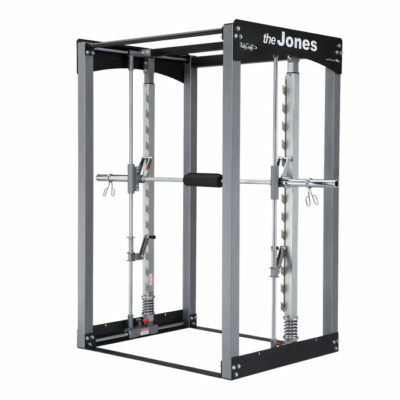 Theses gym quality machines feature high and low pulleys, an attachment for leg curls and leg extensions and options for core training – and both allow you to move seamlessly from one exercise to the next so you can get an incredible workout in minimal time. 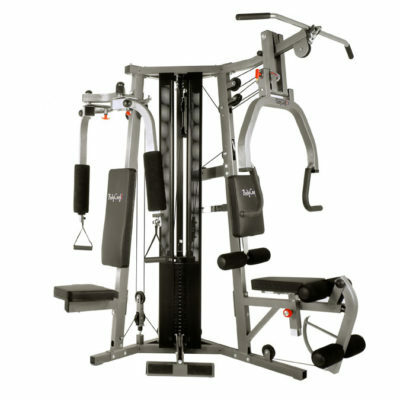 Folks who are in the market for the highest level home gym equipment can certainly get it from Bodycraft as well. 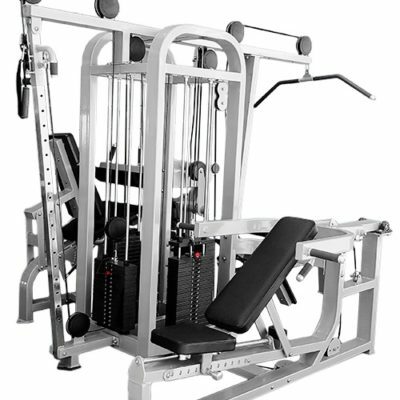 Home gyms like the K2, Family Xpress and X4 feature multiple stations that can be set up independently, a full array of movements to build your upper and lower body and core as effectively as any piece of equipment you’ll find in your local gym – and bigger weight stacks to grow with you as you get stronger. 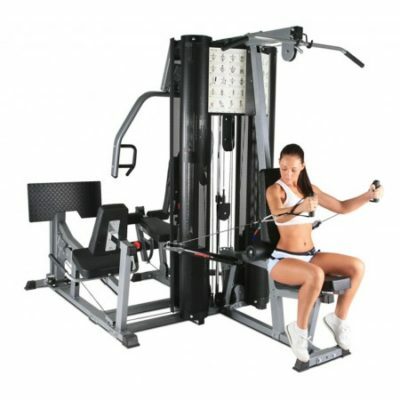 Bodycraft has been producing gym quality fitness equipment for two decades – they produce machines designed to improve cardio, burn fat and build muscle and they do them all very effectively. 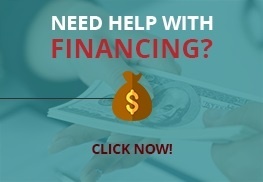 This company also understands that people who invest in a home gym are looking for powerful results for the right price. 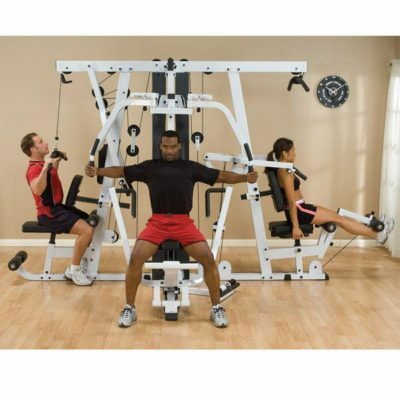 When you purchase Bodycraft equipment you are getting a durable, versatile and functional piece of equipment – when you get one of their home gyms on sale you are getting an excellent workout for an unbeatable price. 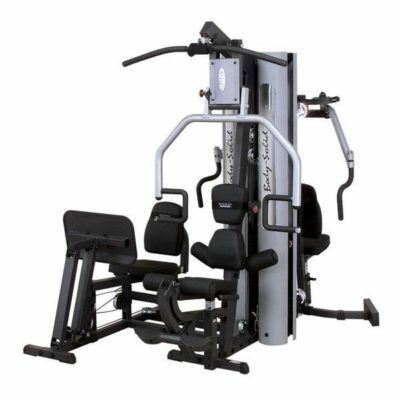 G9S Double Stack Gym with Leg Press-New. 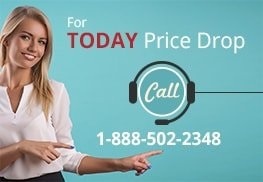 Call Now For Lowest Pricing Guaranteed.